First attempt at building a PC. After spending months looking at pre-built PCs from CyberPower, Cybertron, etc, I decided to use the money I saved up to build one myself. Primarily so i can use the parts that I like, instead of being limited to the parts that those websites offered. The parts I preferred to use were ASUS ROG components, and for components that weren't ASUS ROG, I went with Corsair purely on name recognition (my old PC power supply was Corsair). I'm sure there are cheaper versions of the components I used if I went with a different brand, but I'm very happy with what I got. Building the PC was surprisingly simple; organizing the cables so the inside of the case was nice and neat turned out to be the only difficult/time-consuming part. Having a case with a clear side window made organizing the cables important for me, but if you're going to opt for a window-less case then it's not something you would "need" to spend time on. Once everything was put together, the Maximus Hero MB Bios made the initial startup/setup a breeze. Windows 10 installation was automatic once I put the OEM disc on the optical drive. Installing the GPU and MB drivers was simple also, but they immediately needed an update once the disk installation was complete. So far everything has been working great. None of the parts I got were DOA so that was lucky. The PC runs every game I have in my library flawlessly; even a crowded battlefield in Total War finished without a noticeable stutter. I'm excited to see how some future releases like Mass Effect and Battlefield 1 will look like on this PC. Amazing CPU. Can even handle games with run a lot of "AI" processes, like the Total War series. Once you start spending over $1800 on a PC build, I highly recommend this I7 over the I5, 'cause at that point, what's another $100? Best gaming CPU, although a bit overkill. 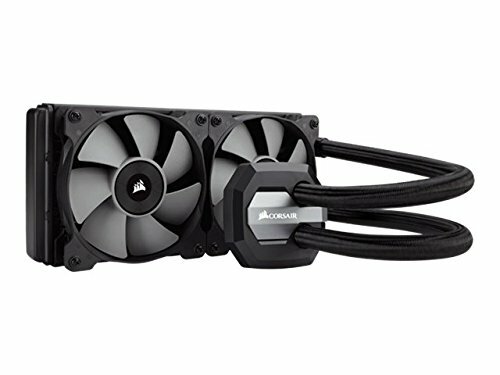 Very nice AIO CPU cooler. Keeps my I7-6700k nice and cool under load, but the stiffness of the radiator tubes can make installation a little annoying. Although an air cooler is pretty much all you need if you're not doing some serious OC, the massive fan/radiator combo covering up your motherboard is such visual turn off. Highly recommend this AIO CPU cooler if you're getting a case with a window where you can show off your components. Fantastic Motherboard. There's a lot of stuff in the BIOS, but it was pretty easy to navigate. Set up is simple, and it comes with a lot of plugs for SATA cables and case fans. My only wish is that it has more than one USB 2.0 9-pin plug. It looks great though if you have a window to see inside your case. I highly recommend it. Slightly more expensive than comparable RAM, but it goes so well inside my blue lit case. My favorite 2 brands as well: Asus and Corsair! Same Here! my build is all ASUS and Corsair as of now. Nice build. Can you comment on the mouse? Sure thing. The Gladius is a pretty sweet mouse. The tracking is very precise and visually it has this neat design on the rubber lining on its side. There's a preset configuration on the button below the mousewheel that changes the tracking sensitivity. If you install the ROG Armory software for the Gladius, you can customize those presets. The LED is set to red and cannot be changed, so that's good or bad thing depending on personal preference. My previous mouse is a World of Warcraft MMO mouse that was great for MMOs 'cause of all the buttons it has, but it felt heavy when using it for fast twitch games like a MOBA or FPS. The Gladius feels a lot better in those games by comparison. Awesome. Thanks for the feedback! I'm currently mouse hunting so just curious. The red only was a downside for me though. Sure was, but finding out there isn't a GTX 1080TI available yet did offer a little bit of comfort lol. I think it might come a bit sooner, seeing as how Vega is set to launch in October. R.I.P. If only you would have gotten the 1080 instead of the 980 ti. Asus is selling the 1080 founders edtition. If that gives you any comfort. But tbh the 980 ti will serve your purpose for a while, you wont need to upgrade for a long time. Good question, I've debated with myself about using an SSD boot drive with a 1 TB HDD to store stuff, but in the end I opted for even more storage capacity and got a 3 TB HDD. 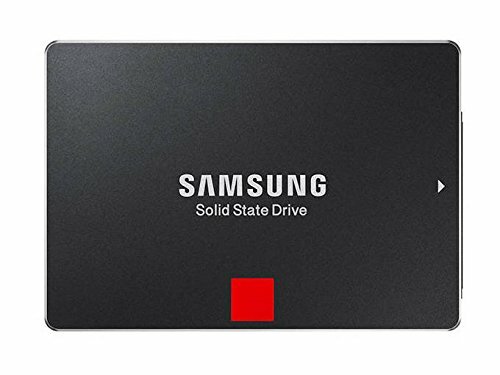 I do like the benefits of an SSD, and once I figure out how to move or copy the primary partition and change the boot drive, it's definitely next on my shopping list.